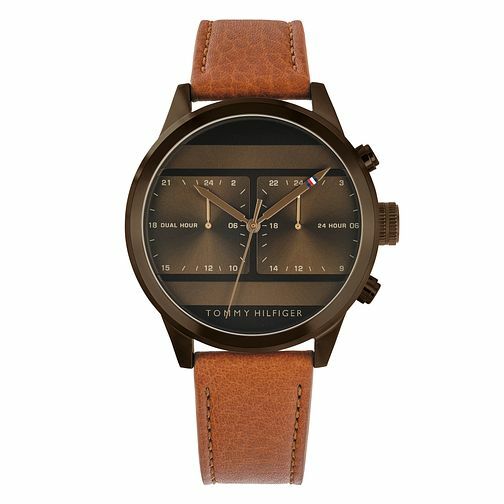 Iconic in design, this Tommy Hilfiger men's model boasts a 42mm sleek black ion plated case and classic brown leather strap. Its bold brown dial features two time indication and 24 hour subdial displays. Three-hand movement presents precise quartz timekeeping. Smart and stylish, the Icon timepiece is ideally suited for everyday to night wear.